Mukesh Sharma: In a major relief for GJM chief Bimal Gurung and two other party activist, Kalimpong ACJM Court acquitted them from the case related to the blockage of NH-31 back in 2011. The court of ACJM Subrata Chatterjee read out the verdict after a prolonged trial, which lasted for over four years. Gurung and the five other activists were charged for blocking the NH-31 on March 2011 during the fresh agitation for the separate state of Gorkhaland which erupted after Sibsu incident. 'On the reasoning of acquittal of Gurung and other two the court cited unavailability of enough evidences and witnesses by the police that led to today decision ' informed Rajiv Parajuli the defense counsel of the Gurung . Gurung along with the other activists were camping in Kalimpong since last night and presented themselves before the court for the verdict. After the verdict was read out, Gurung thanked his lawyer and the Judiciary. 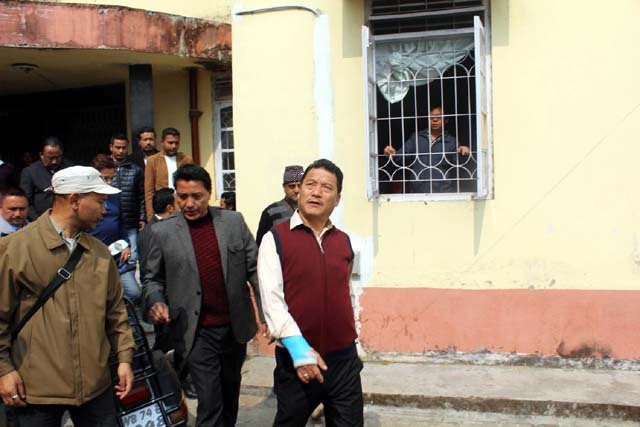 In a major relief for GJM chief Bimal Gurung and two other party activist, Kalimpong ACJM Court acquitted them from the case related to the blockage of NH-31 back in 2011.